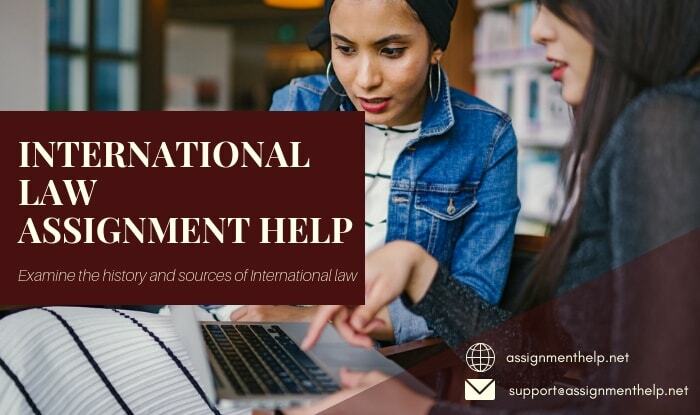 This course at Assignment Help examines the history and sources of International law as well as the principles, rules and norms pertaining to particular subject matters and international legal regimes. The course will survey such areas as the law of international organizations, international protection of human rights, individual accountability under international law, the regulation of the use of force, and international economic law. In addition we will examine the interface and relationship between the international and domestic legal systems. At assignment help, we provide help with the study of International law. Our online tutors can provide International law assignment help with questions and topics.